Jama Analyze supports all Jama Connect hosted accounts running version 8.25 or later. Open the Jama Connect integration page. 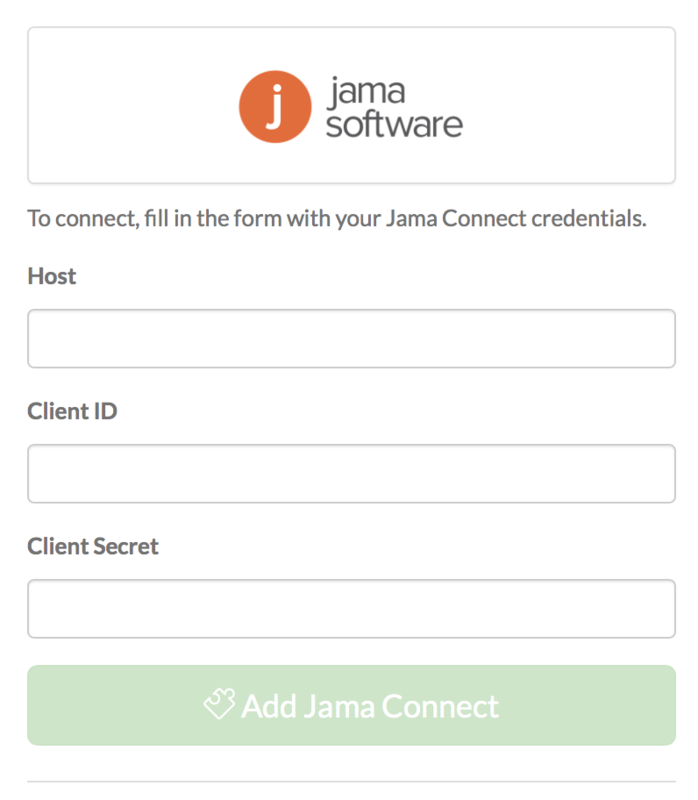 Enter your Jama host, client ID and client secret. Select the Add Jama Connect button. In the window that opens, select the projects you want to include in your import, then select Submit. When the import finishes, Analyze will send you an email notification. Future imports run nightly around 1:00am, local to your Jama Analyze account time zone. To edit your Jama Connect integration settings, open the Jira integration page and select Configure from the tool bar in the top right. Now that Jama Connect is integrated with Analyze, you can build metrics with Jama Connect data.